Looks fake to me. Touch screen came from a “Special”, all controls are no different from any 14′ bagger. The ferring is what NEEDS to be changed or redesigned. And in this photo there is non-of that. The photo was not likely sanctioned by mother Harley however I’d be willing to say it is at least a working prototype for sure. 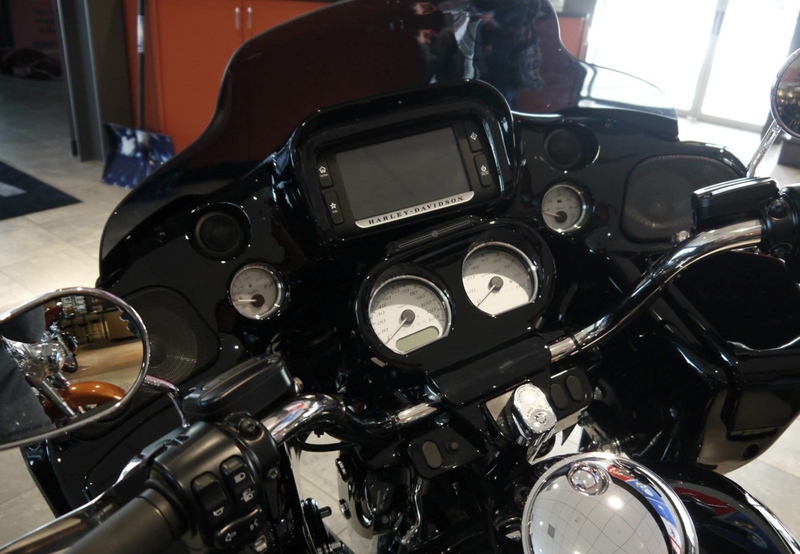 The controls match those of the 2014 FLs and the tach/speedo also same as the current 2014’s. The inner fairing has prepositioned guages and two new tweeters. These details and the painted inner fairing would suggest the pic is of what is likely a RG Custom Special Edition. Same was released as the 2014 SG Special… upgraded sound system, touch screen info unit and yes, a painted inner FAIRING. I’ll wait to see what is released from HD but the photo looks reasonable to me. After all, the new 2014 Batwing fairing didn’t really change much either. With the RoadGlide being 9% of sales… why mess with a good thing? it’s iconic and by far the best ride Harley makes… stats show RG owners ride 20% more miles than any other model. I certainly hope that this is a joke. I seriously doubt that Harley would pull the Roadglide for a year just to redesign the center portion of the fairing. I expect a complete re-design of the bike to include water cooling. If this is all they have then I’m keeping my ’13 and when it comes time to buy a new bike I might be looking elsewhere and that’s after owning over 20 new Harley’s.